Apple today has added refurbished 10.5-inch iPad Pro models to its online store for the first time in the United States and Canada. There are currently around 20 configurations available to choose from, including Wi-Fi and Wi-Fi + Cellular variants, with prices reduced by around 15 percent compared to what Apple charges for brand new models. As usual, supply is limited, so be quick to place an order if you are interested. In the United States, refurbished prices start at $549 for Wi-Fi models with 64GB of storage, a discount of $100. Wi-Fi models with 256GB and 512GB of storage are $649 and $849, down from $799 and $999, respectively. Apple says its refurbished products are thoroughly inspected, tested, cleaned, and repackaged with a new white box and all manuals and accessories. Apple also installs a new battery and replaces the outer shell, making it nearly impossible to distinguish between a refurbished and brand new iPad Pro. All refurbished iPad Pro models come with Apple's standard one-year warranty effective on the date the tablet is delivered. 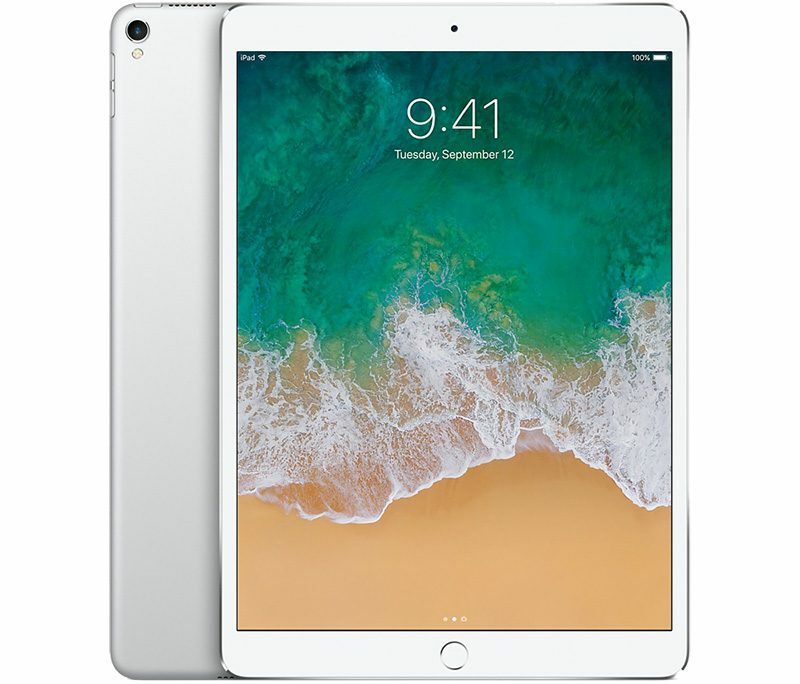 The warranty can be extended to up to two years from the original purchase date with AppleCare+ for iPad, at a cost of $99 for all 10.5-inch iPad Pro models in the United States. Apple introduced the 10.5-inch iPad Pro in June 2017. The device is only slightly larger than the 9.7-inch iPad Pro it replaced, but the size and weight difference is hardly noticeable, given Apple was able to make the display around 20 percent larger by significantly reducing the size of the tablet's bezels. The 10.5-inch iPad Pro is powered by Apple's A10X Fusion chip and features a 12-megapixel rear camera, a 120Hz refresh rate, Touch ID, four speakers, and a Lightning connector with USB 3.0 transfer speeds and fast charging capabilities. Apple advertises battery life of up to 10 hours per charge. It's worth noting that Best Buy and other Apple resellers frequently discount brand new 10.5-inch iPad Pro models by around 15 percent, including Micro Center right now. Keep an eye on our Apple Deals roundup for other sales. I REALLY love mine, but it will NEVER (again, NEVER) replace my MacBook pro. I used to think refurbished were the best deals you could get on Apple products, at least here in Canada. I recently realized the best deal is actually to buy it the day it's released, at least if you plan to use them until they are obsolete. For instance, this iPad has been released for 218 days. iOS support lasts about 5 years. So 218/(365*5)=12%. So buying refurbished in this case means getting 15% off a device that's already "12% obsolete". I'd much rather have it from the start and keep it for the full 5 years. 64GB version $500 at Microcenter if you have one near you. That’s how much I got my iPad for from Best Buy before gift cards, definitely a good deal, especially since it was brand new. Totally generalized and wrong, particularly for the iPad 10.5. Easily the best iPad ever made. Waiting for the next once is always an exercise in futility because the NEXT one will always be better, including after 2018. But I would rather much purchase refurbished iPad from Apple versus eBay. eBay has become such a playground for someone to fraud you over a product as a buyer. I know eBay has 'buyer protection', but to me and the stories I have heard about sketchy sellers not responding, Products not as advertised, etc. I would rather pay the extra money for a refurbished iPad through Apple and know that I have a warranty attached, that they will make the situation right if something is wrong with it. In the end, you have to ask yourself, is it worth being scammed over to find a "Much cheaper" On eBay? I personally would pass. Like anything used you buy, you need to thoroughly inspect it within the return window. I've had mostly good luck from highly rated sellers and saved much more than the measly ~15% from Apple. Black Friday deals (Brand new iPads) are often cheaper than Apple Refurbished. The 5 years starts after they stop selling the device, so as long as it's still manufactured by Apple, they support it for 5 years. So if you buy only current devices as refurbished, you get at least 5 years support. Like anything used you buy, you need to thoroughly inspect it within the return window.. I don't disagree with that. However, it's the aftermath of dealing with the seller once they have your money that becomes a problem at times. That's what I meant that I would rather purchase from Apple knowingly I don't have to be concerned with any type of faulty sellers after the fact.